When you first start out collecting, analyzing, editing, and visualizing GTFS data, the landscape of available tools can be overwhelming. There are seemingly endless lists of tools to use, and each tool has its own advantages and limitations. So how does your team decide the right tools for your mapping project? To answer this question, we’re selecting Digital Transport’s favorite transit data collection tools. When building this list, we’re looking at whether the tool allows for collecting GPS traces, bus stops and passenger counts, whether the tools is free or open-source, and whether the tool sends data to OpenStreetMap. We also look at the mapping projects the tools have been used in and weigh the pros and cons. Does it collect GPS traces? Does it collect bus stops? Does it collect passenger counts? Does it connect with OpenStreetMap? What projects was it used in? It allows app-users to crowdsource data and offers a manifold of APIs and partners. It also has a transit routing feature for navigation. Allows institutions to carry out their own mobility surveys. However, it is better suited to collect survey data on mobility habits than to describe a transport network. Making of Digital Matatus Map : Part 1 from Sarah Williams on Vimeo. Similar functionality to FlockTracker. However, the tool is native to Apple iPhones, which are less commonly used in developing cities. 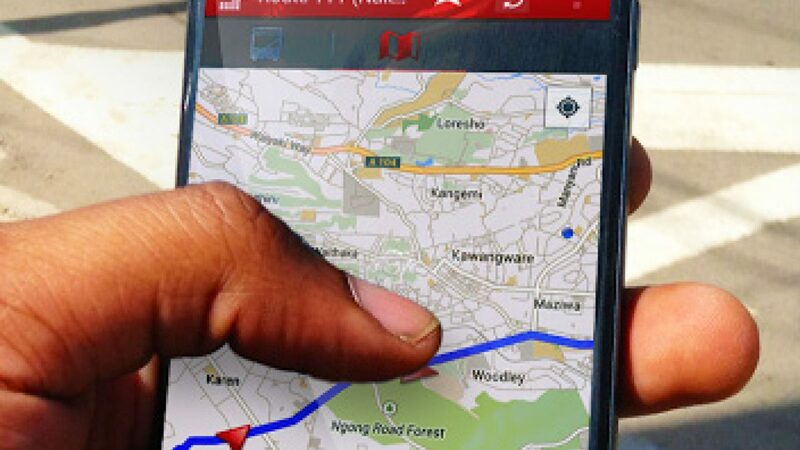 Extremely user-friendly interface that was custom-built for mapping South Africa’s minibus taxi routes. The company can also participate in the data collection process. WRI used it for a public transport project in Addis Ababa, Ethiopia. 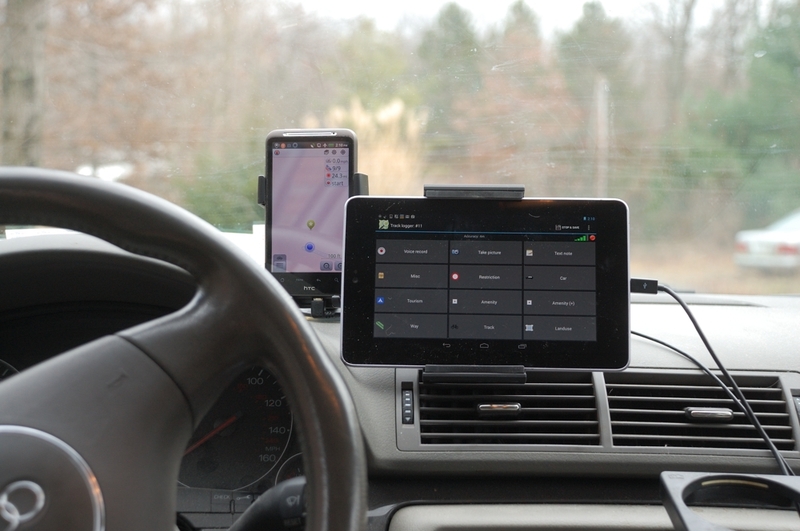 Versatile tool that has numerous GPS apps for smartphone. It’s capable of logging numerous attributes per entry. However, the tool is not custom-built for transit mapping and stops cannot be entered while route is being tracked. A number of transit mapping projects in Accra (Ghana), Paris, Bamako (Mali), Dakar (Senegal), Kinshasa (D.R.C. ), Freetown (Sierra Leone), and Niamey (Niger). This free, open-source Android app is focused exclusively on collecting bus stop information, including lat-long data. A standard, no-frills app-based GPS trace collector. Not integrated with any particular GTFS of transit tool. OSM contributor using OSMTracker to collect GPS traces on their driving route. Photo courtesy of OpenStreetMap Wiki. Duitama (Colombia), Mapanica (Nicaragua); widely used for general contributions to OSM. 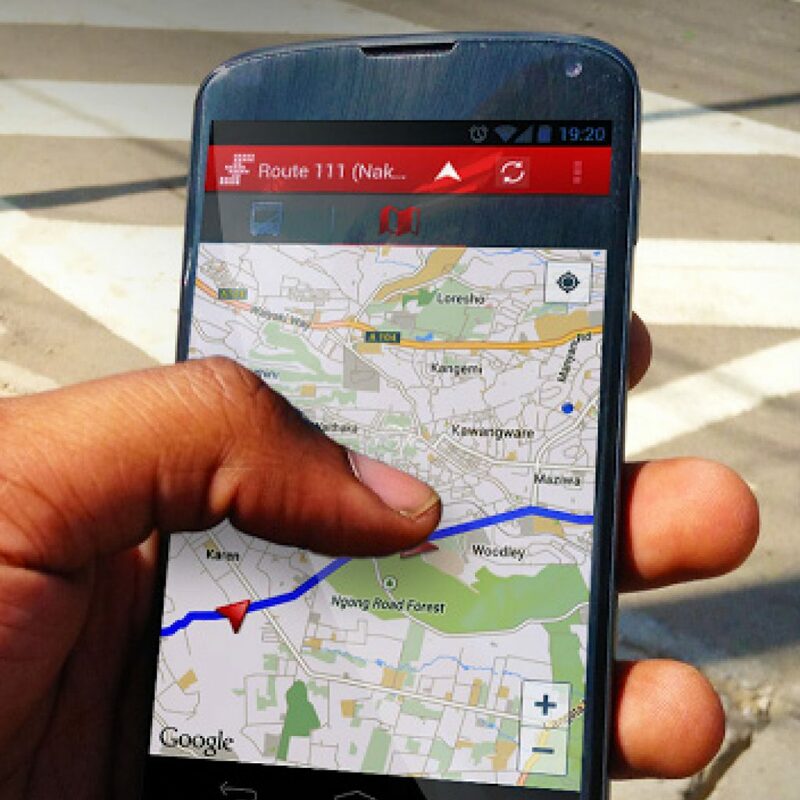 A GPS tracker combined with a build-it-yourself, app-based survey form that allows you to record stop and route information. Data can also be directly synced to OpenSteetMap, making this the go-to tool for OSM contributors. There are number of strengths with TransitWand as the tool was specifically designed with collecting GTFS data in mind. It allowed for modification of questions asked in field, had good user interface, and data can be downloaded as .csv and shapefiles. That said, Digital Matatus reported that the program needed modification for use in field and that the GTFS export does not function properly, making post-processing cumbersome. There’s a number of transit data collection tools out there, each with their own sets of strengths and limitations, and with prices ranging from free-to-download to more resource-intensive. The tool that works best for your projects ultimately depends on your team’s needs and resources. That said, this list is by no means exhaustive. You can find a full list of GTFS tools and resources in Digital Transport’s Knowledge Center, with tools created or compiled by the Center of Urban Transportation Research at the University of South Florida, WRI, Esri and others. If you have any questions, comments, or suggestions on GTFS tools, get in touch with us! Lily Bui is a PhD candidate at MIT’s Department of Urban Studies & Planning. Her research focuses on warning systems and disaster risk reduction planning on islands. Griffin Kantz is a 2020 Master of City Planning student at MIT, with a B. of S. degree in sustainable planning from USC. He can be reached at kantz@mit.edu.